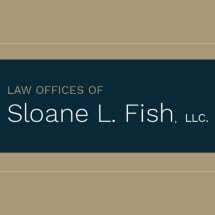 Personal injury attorneys Sloane Fish and Heather Rice work to make sure that justice is served and that you have the time to heal, knowing that you have been taken care of in a compassionate, competent and professional manner. 1.Does the attorney return your phone calls promptly? Lawyers who do not respond to phone calls or emails now may not be responsive later, after you have engaged them — when you really need them. Does the attorney explain things in a way that you can understand? Having options does not mean much if you don't understand them. An attorney who cares is one who takes the time to explain your options so you can make an informed decision. Does the attorney have vast experience in personal injury? Attorneys who focus their practices solely on personal injury are often abreast of changes in the law and have more resources, such as medical experts and accident reconstructionists, at their disposal. Does the lawyer have a track record of success in helping clients with your type of accident or injury? They should. And they are probably willing to tell you about it, too! If you don't feel comfortable, you should keep on looking. Your relationship with your attorney should be built on trust, and on knowing that your lawyer always has your best interests at heart.